Canon today unveiled its latest digital SLR refresh, with an 18.1Mp full-frame snapper aimed at pro sports and studio photographers. 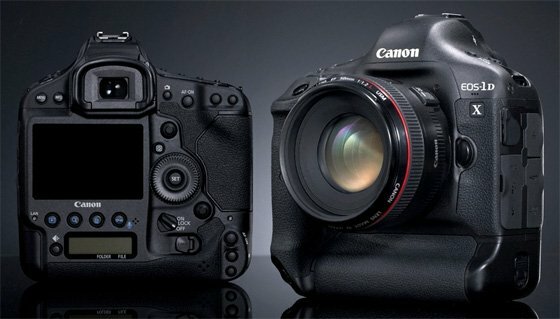 The Canon EOS-1D X, a replacement of the EOS-1D Mark IV and EOS-1Ds Mark III, is what the company calls "the film-maker's DSLR", as it features 1080p video recording with manual exposure, focus and frame rate controls. With a 18.1Mp CMOS sensor and dual Digic 5+ image processors - said to be five times faster than the current Digic 5 - the EOS-1D X is undoubtedly a snazzy snapper. There's a 3.2in LCD display, a 61-point AF system and heaps of new AF presets. Then there's a fresh metering system with a 100,000 pixel RGB sensor powered by its own Digic 4 image processor. Canon leaves no stone unturned, packing commendable low-light settings through an ISO range of 100-51,200, but capable of reaching 204,800.